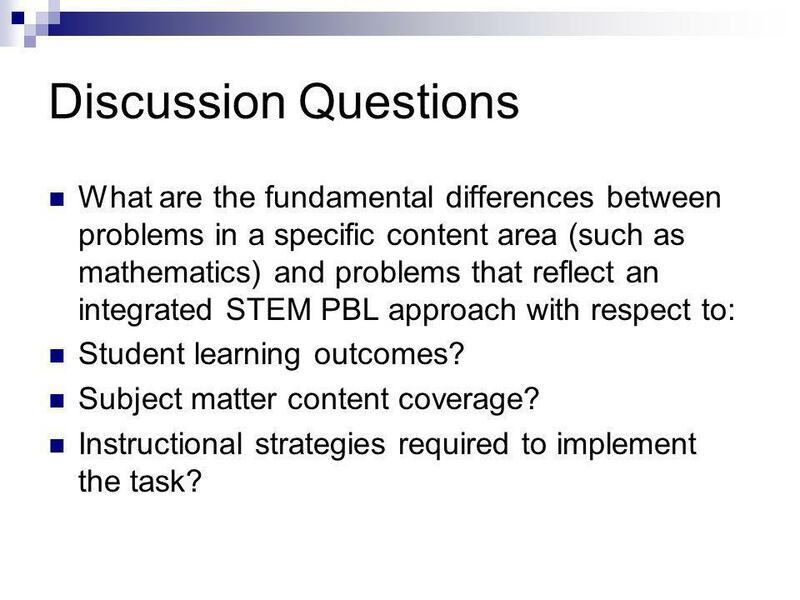 6 Discussion Questions What are the fundamental differences between problems in a specific content area (such as mathematics) and problems that reflect an integrated STEM PBL approach with respect to: Student learning outcomes? Subject matter content coverage? 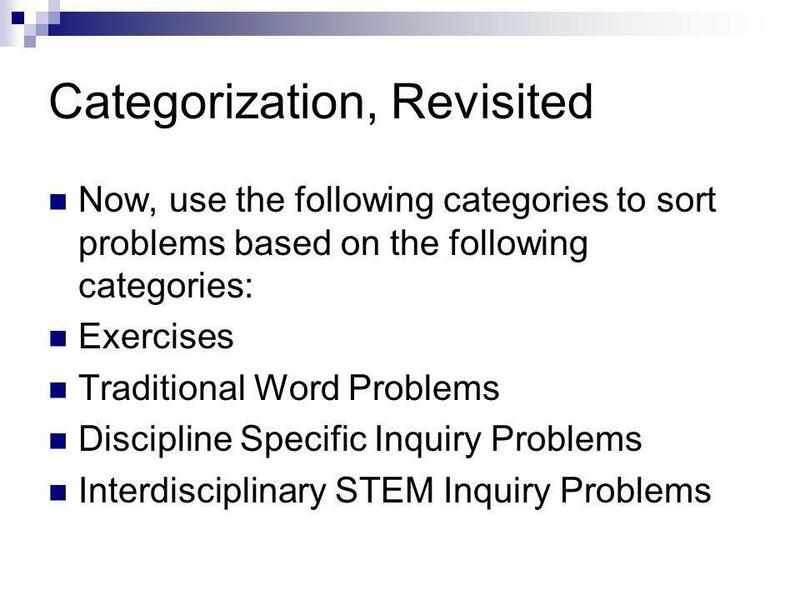 Instructional strategies required to implement the task? 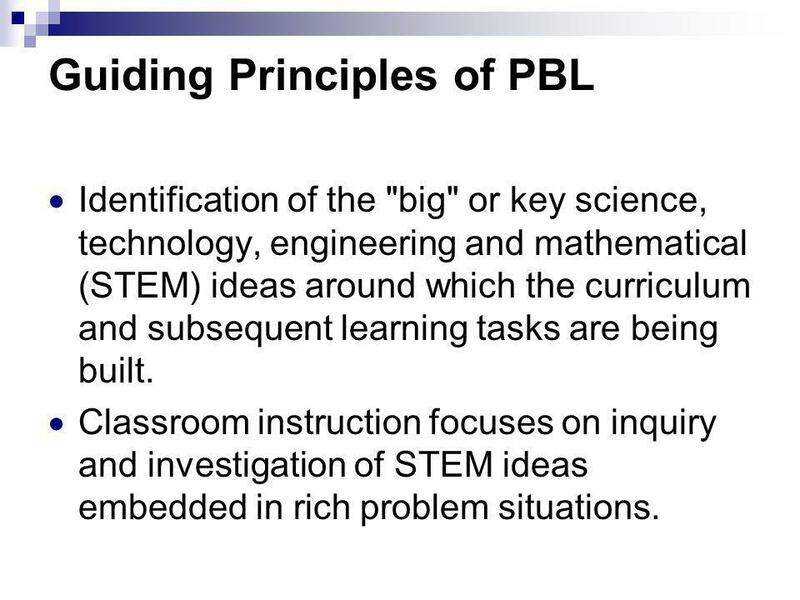 7 Guiding Principles of PBL Identification of the "big" or key science, technology, engineering and mathematical (STEM) ideas around which the curriculum and subsequent learning tasks are being built. 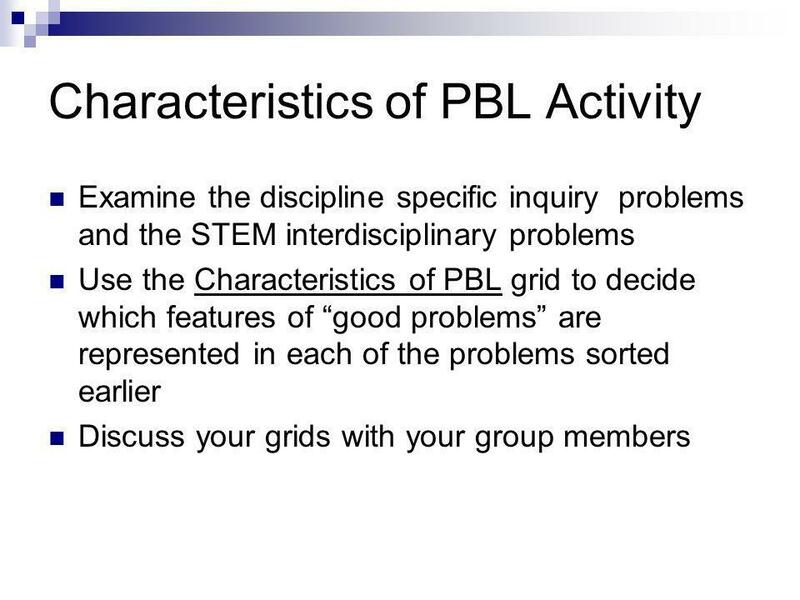 Classroom instruction focuses on inquiry and investigation of STEM ideas embedded in rich problem situations. 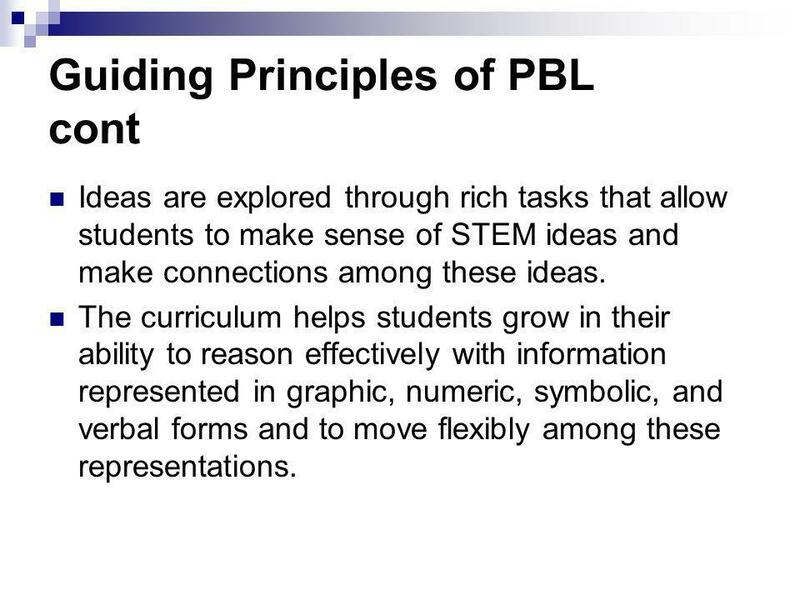 8 Guiding Principles of PBL cont Ideas are explored through rich tasks that allow students to make sense of STEM ideas and make connections among these ideas. The curriculum helps students grow in their ability to reason effectively with information represented in graphic, numeric, symbolic, and verbal forms and to move flexibly among these representations. 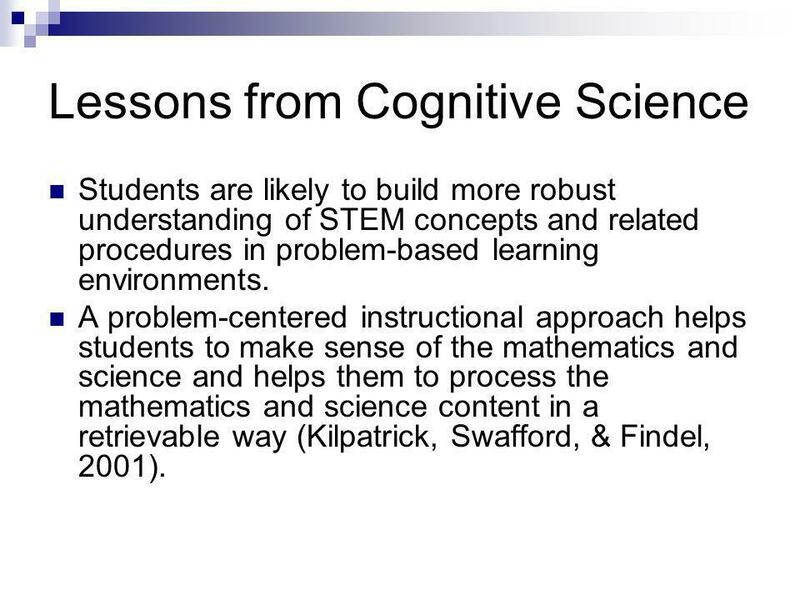 11 Lessons from Cognitive Science Students are likely to build more robust understanding of STEM concepts and related procedures in problem-based learning environments. 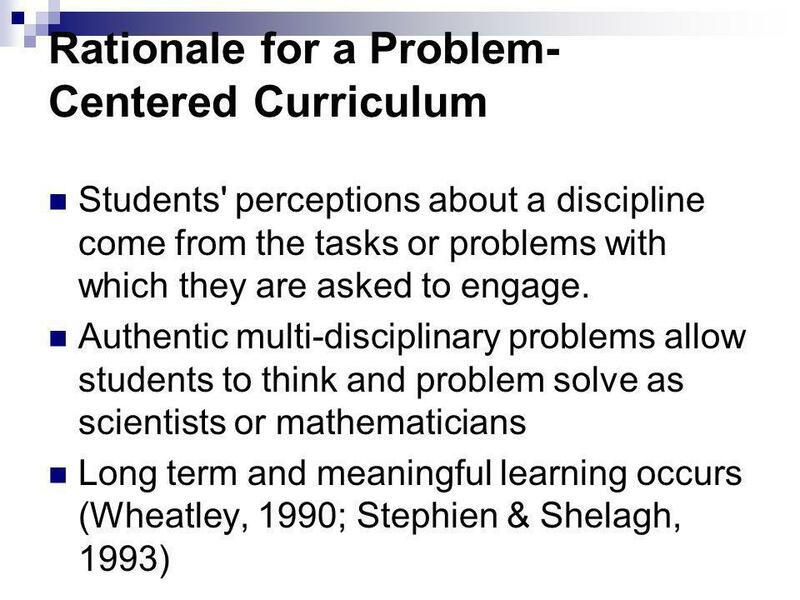 A problem-centered instructional approach helps students to make sense of the mathematics and science and helps them to process the mathematics and science content in a retrievable way (Kilpatrick, Swafford, & Findel, 2001). 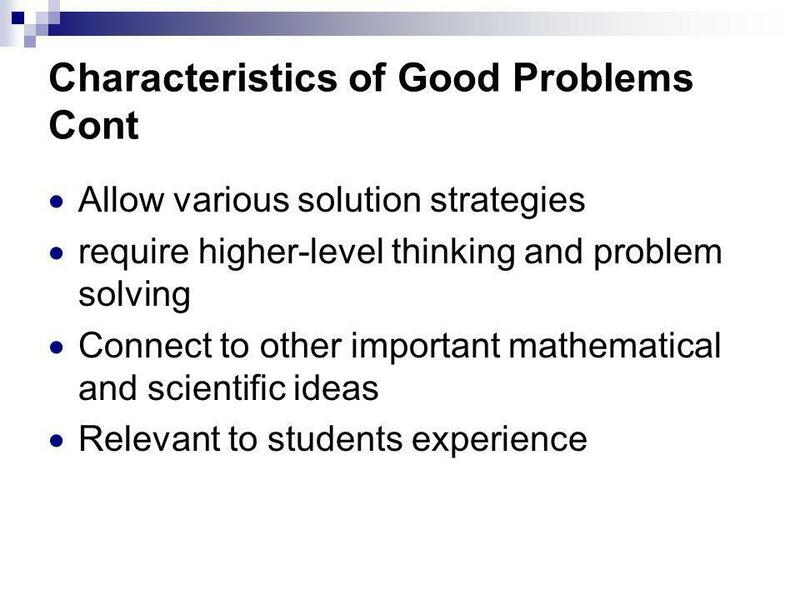 12 Characteristics of Good Problems Contribute to students' conceptual development of important STEM ideas. 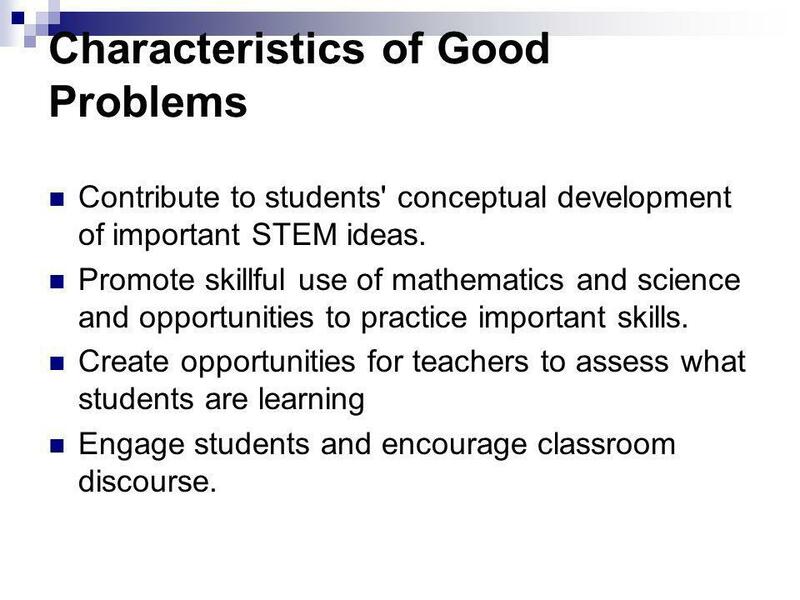 Promote skillful use of mathematics and science and opportunities to practice important skills. Create opportunities for teachers to assess what students are learning Engage students and encourage classroom discourse. 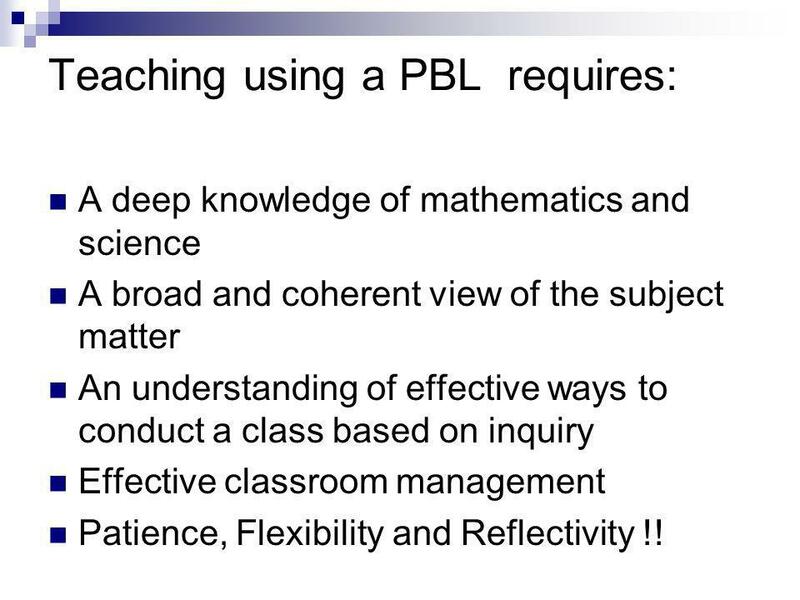 15 Teaching using a PBL requires: A deep knowledge of mathematics and science A broad and coherent view of the subject matter An understanding of effective ways to conduct a class based on inquiry Effective classroom management Patience, Flexibility and Reflectivity !! 18 What did you learn? 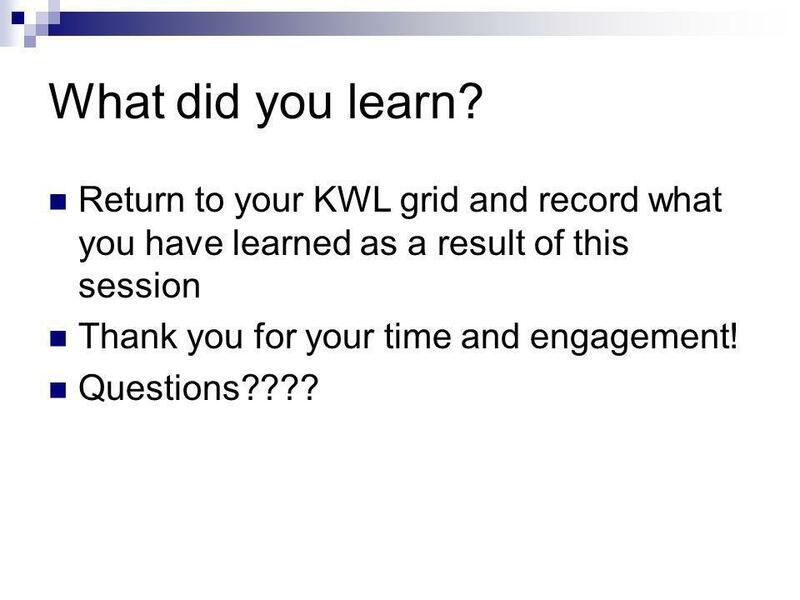 Return to your KWL grid and record what you have learned as a result of this session Thank you for your time and engagement! Questions???? 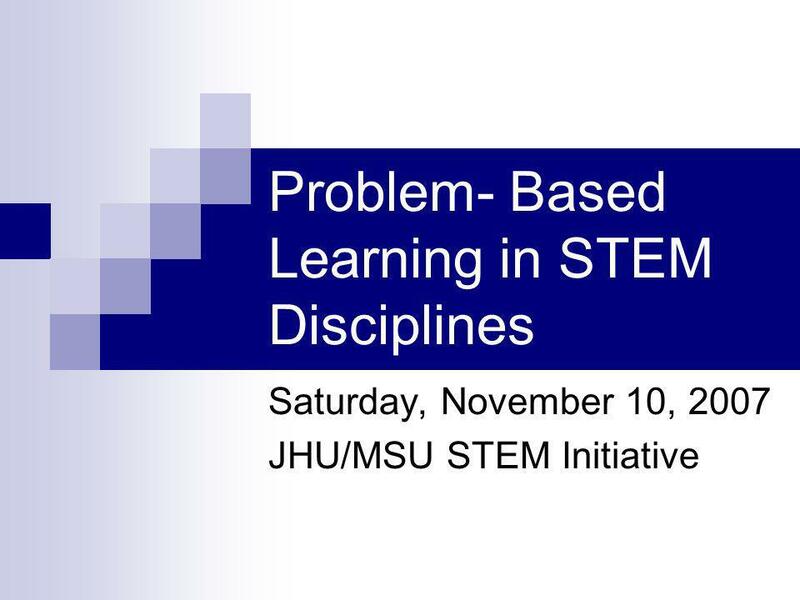 Download ppt "Problem- Based Learning in STEM Disciplines Saturday, November 10, 2007 JHU/MSU STEM Initiative." Stephanie Burba, Noyce Graduate Tyler Ghee, Noyce Scholar Shelby Overstreet, Noyce Scholar Kathryn Crawford, Noyce Graduate Hope Marchionda, PhD Using. 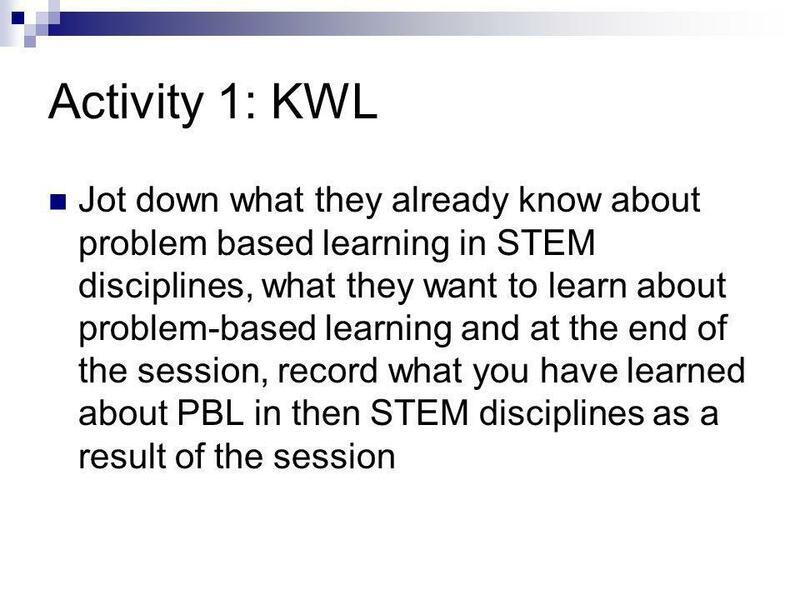 K-6 Science and Technology Consistent teaching – Assessing K-6 Science and Technology © 2006 Curriculum K-12 Directorate, NSW Department of Education and. 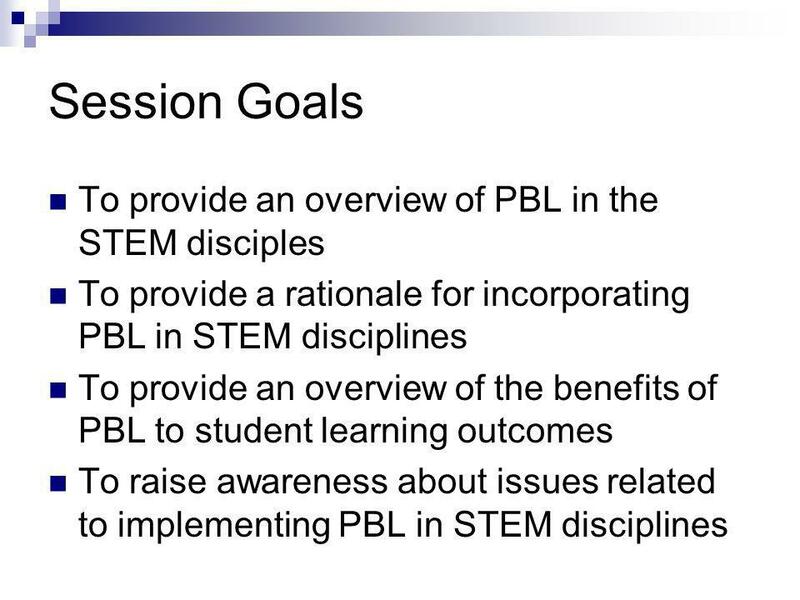 Instructional Practices, Part II project DATA Instruction Module. 1. Principles Learning Assessment Technology 3 Teaching Assessment Technology Principles The principles describe particular features of high-quality. Making Proficiency in Math Soar to Greater Heights November 2, 2006 Claudia Ahlstrom. Introduction to Workshop 10 Choosing Learning and Teaching Approaches and Strategies. 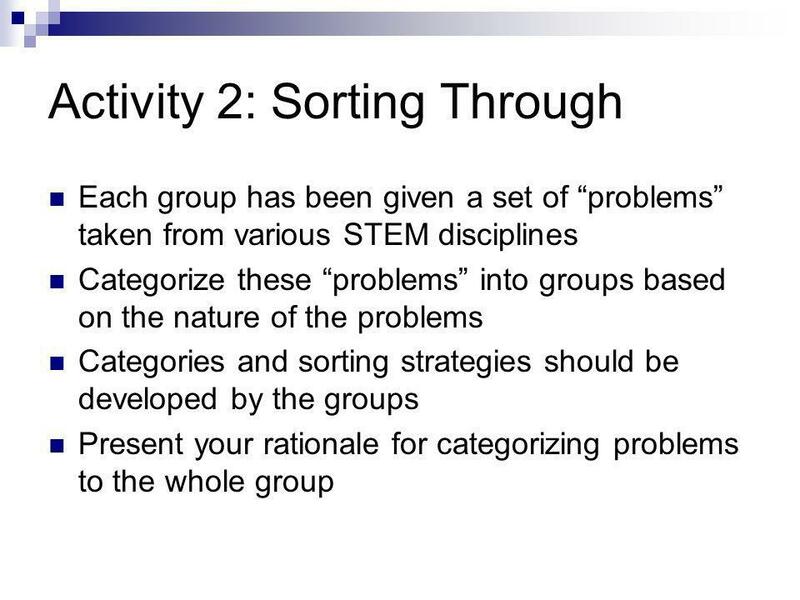 1 New York State Mathematics Core Curriculum 2005. 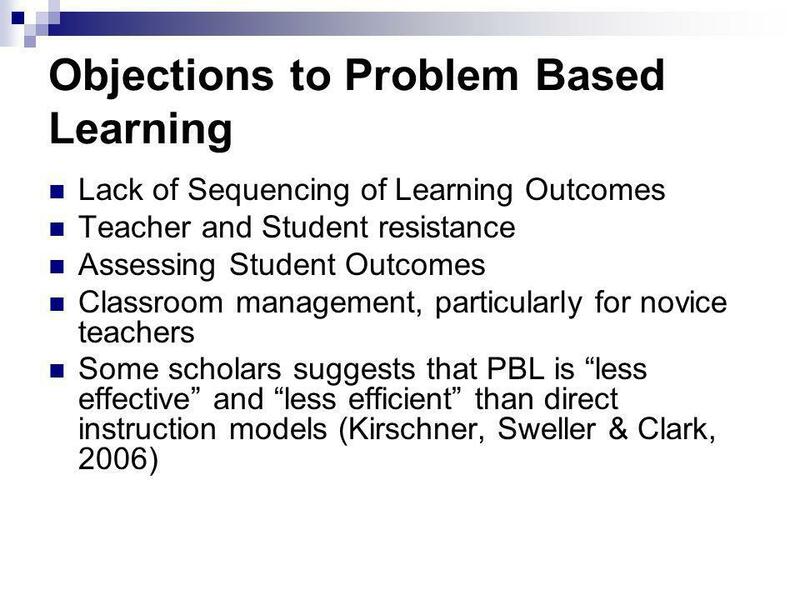 Lesson Design: An Overview of Key Tools for Flexible Math Instruction Think about Ms. Christiansen—the teacher in the video. What helps a teacher plan. Literacy in the Mathematics Classroom District Learning Day August 5, 2015. 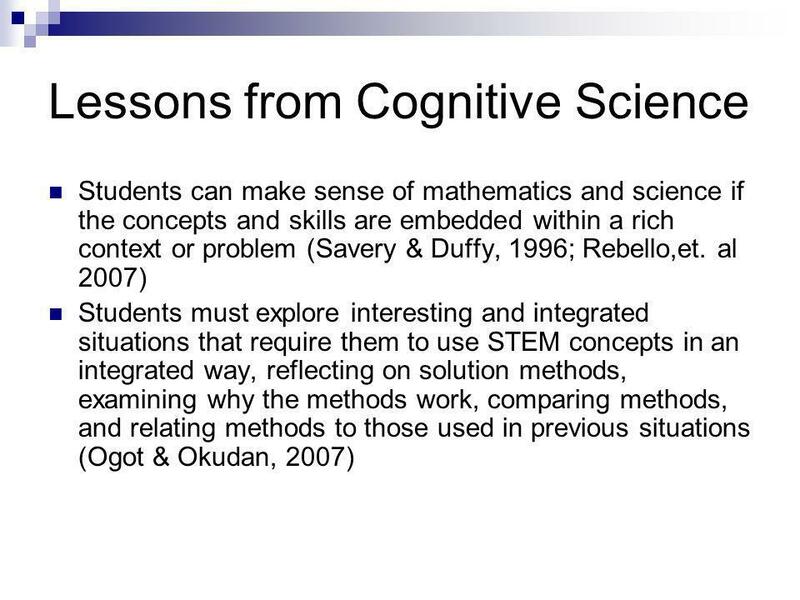 Teaching to the Standard in Science Education By: Jennifer Grzelak & Bonnie Middleton.